Sonaa delivers professional commercial window cleaning services to the highest standard whilst maintaining a focus on conducting these services in a safe and efficient manner. From Small office buildings to large high rise, Sonaa has a team of professional, fully qualified and experienced commercial cleaners that can take care of any job, no matter how dirty. We thrive on the opportunity to show our clients how great their buildings can look after a commercial clean and are always proud of the results. Our commercial window cleaning services are carried out across the Sydney Metropolitan area and the best part is, that we can carry out our work with little to no impact on your business, so you can be rest assured your workflow won’t be affected during our visit. We understand that tenants of commercial buildings often rely on the aesthetics of the building to present themselves in a certain light and therefore it is important to maintain the building, and in particular the windows, to the highest standard. 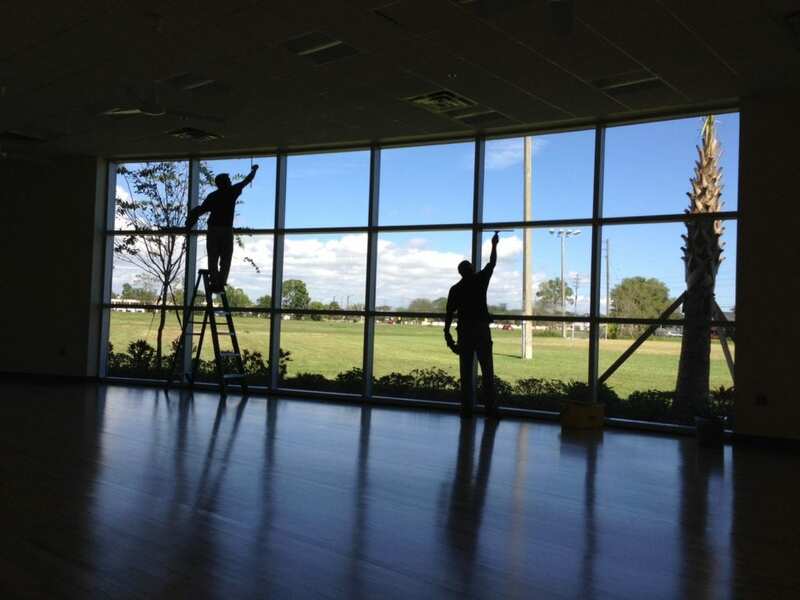 Why Get The Windows Cleaned for Your Business? The biggest reason why our commercial clients choose to have their windows cleaned, is because they look great afterwards. Our team of experienced and qualified cleaners make sure that every centimetre of window and frame is impeccably presented. With regular cleaning and maintenance, the lifespan of a window and its frame can often increase exponentially and improves the overall appearance of the building. If you have a large staff base located in your office building, having the windows commercially cleaned can also have a positive impact on the workforce and your bottom line. Having clean windows, leads to a brighter office, which can then potentially be reflected in the use of less electricity to artificially light the interior of the building. Degradation of the composition of the glass of the exterior of a building can be attributed to smog from motor vehicles or train lines, dirt, salt, sand and other airborne minerals and toxins. Not only can the composition of the window be degraded, but the appearance of the building may also be negatively affected. So, if you have a commercial building near the coast, within proximity to Sydney’s beautiful beaches, next to Sydney’s rail corridor or anywhere else in the Metropolitan area, please get in contact so we can prepare a formalised quote. Building Maintenance Unit (BMU) window cleaning is a method which Sonaa regularly implements to access all levels on some of the highest buildings in Sydney. All of our experienced staff are fully trained and accredited to operate using this method, to ensure that the windows are impeccably cleaned. Once again, we place the highest priority on conducting our commercial window cleaning services in the safest possible way. Typically, this method of cleaning is reserved for commercial buildings up to 20 metres high, or 4 floors, and the windows and frames of the exterior of a building can be cleaned in a single operation. This method, whilst also being the safest has several further benefits, which include being environmentally friendly, efficient, a less costly alternative to other methods, can be used for multiple applications such as windows, awnings and facades, cleans both the window and the frame concurrently and allows access to all the tricky places.